Joseph Bugeja was educated at the University of Malta, where he graduated B.Ed. (Hons), B.A. Legal and Humanistic Studies, M.A. (Diplomatic Studies) and LL.D. His Call to the Bar was in 2004, and today he practices law as an advocate. 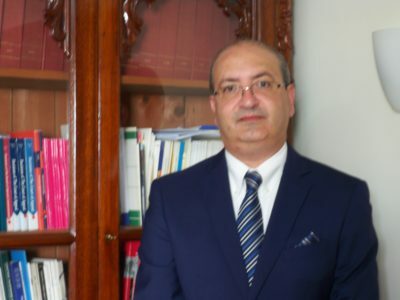 Since 2010, he is an Associate Visiting Lecturer at the Faculty of Laws, University of Malta, and lectures on Public Finance Law; Public Procurement Law and Policy; International Economic Law (The law and policies of the World Trade Organisation; and EU Trade Law. He also serves as Supervisor/examiner of students within the Faculty of Laws. Joseph Bugeja used to occupy the posts of Director International Economic Relations within the Ministry of Finance and Commissioner or Land.